PEOPLE ARE ALWAYS SEARCHING FOR THEIR NEXT ESCAPE. But what about staying here? By the time I was 24 I had travelled, lived and worked in over 30 countries. I was a professional at hopping on any flight I could to get away; I needed to explore, but staying in Canada didn't seem "adventurous" enough for me. I thought adventure could only be satisfied in foreign experiences on the other side of the world. In my early 20's I was offered a short term contract for a travel company based in Vancouver. I had never been to Vancouver but thought "What the heck? It's only three months...just another trip and a new experience." Long story short, it's been three years and I haven't looked back since. I absolutely fell in love with this city. Over the course of these years I was going through a lot of change, including transitioning out of the travel industry. It was SO hard to not have the option of travelling all of the time so I started packing my evenings and weekends with any adventure I could find in and around Vancouver. Once I started exploring British Columbia, I realized how much I had skipped out on. I couldn't believe how incredible my own country was and couldn't help but wonder why I had never opted to explore my own backyard. Show people that they don't have to go far to travel. So here it is: #TheStayCationSeries. 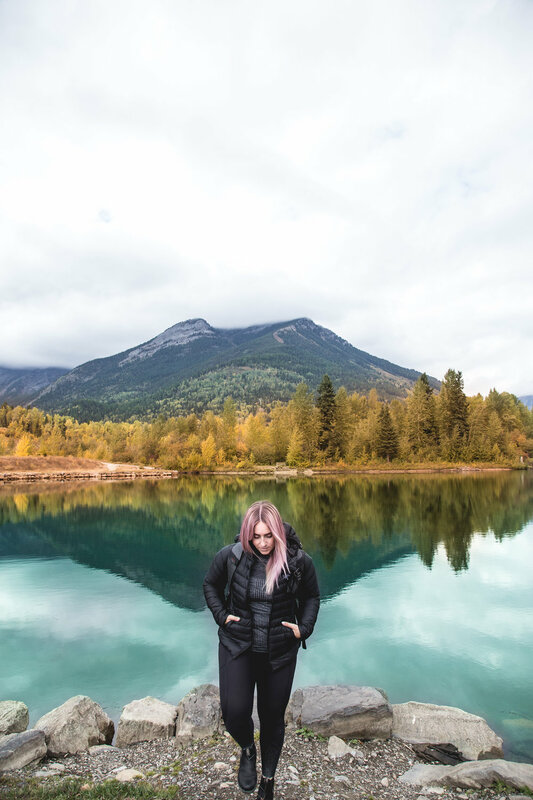 My goal is to travel around Canada to showcase what our home is all about while supporting local, sustainable tourism and leaving followers with a detailed blog on how they can re-create the trip or experience for themselves. If you're read this, it means I absolutely love what you're up to - and I'd love to have you promoted as a featured experience on the series. Ideal collaborations for #TheStayCationSeries are with tourism board, providing longer getaways and weekends away. Companies that provide excursions are perfect for showcasing one day experiences. Tourism Golden, Sunshine Coast Tourism, Tourism Whistler and a few others are lined up to shoot and publish over the next couple of months. INTO IT? LET'S DO IT! I've built an engaging following that emotionally connects with what I do. I've done that through powerful content, both images and words that build relationships and trust. Sure, it sounds amazing to quit your job and buy an around the world ticket but that's not reality for most of the world. I want to promote trips that people can actually see themselves doing in the near future. So that falls under same day experiences, weekend trips, road trips, luxury escapes and up to 2 week vacations. Something that the student, digital nomad and working mom can all make happen. I'll showcase the most perfect escape, and you just have to stand there and look pretty. - I am able to shoot wesbite/social content for you if needed at an additional cost. - I am able to run a contest/giveaway as one of the posts with a call to action for entries to follow your page.